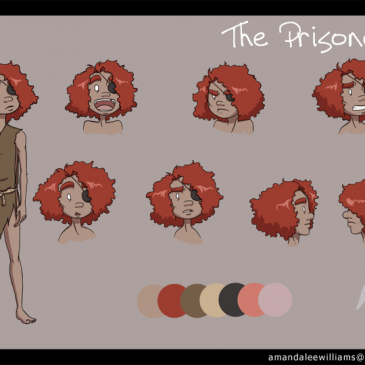 A medieval fantasy/comedy webcomic about coming home from college, family obligations, and demon summoning. 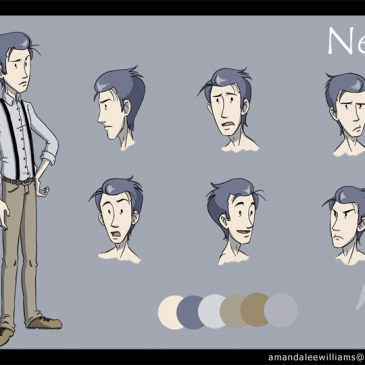 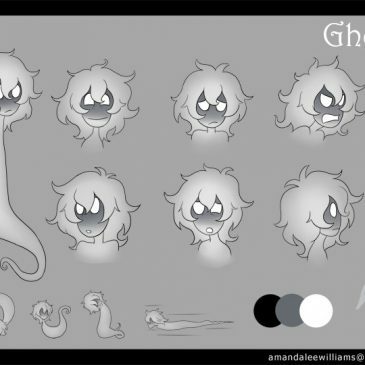 A character sheet of the Ghost from Under New Management. 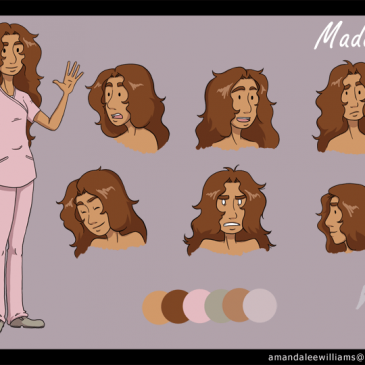 Art by Amanda Williams.